A rare marsh-front property at one of BelfairGÇÖs most prestigious addresses! 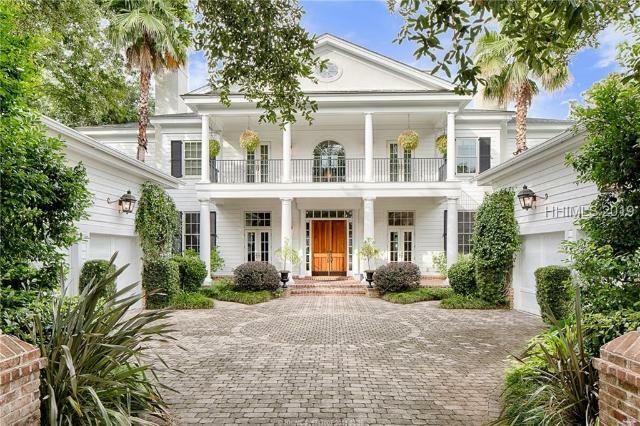 This design masterpiece commands a breathtaking Colleton River marsh view. Quality is the standard inside-and-out starting with energy-efficient Hebel block construction. An engaging, open floor plan couples soaring ceilings with endless glass creating a sunlit ambience on the mesmerizing 180-¦ vista. Flanked by custom built-ins, the ceiling-height stone fireplace anchors the great room, while exquisite granite adds drama to the ideal kitchen. Generous multiple living spaces and spacious guest suites add to the joy of entertaining. Singular. Situated near the end of a quiet cul-de-sac street w/ beautiful views across the 4th fairway to a nature preserve w/ no homes on the other side of the fairway, this almost new home enjoys an enviable location. Open floor plan plus two screened porches. High end appliance package and prep kitchen. His and hers offices. 4 BR and 4.5 BA plus bunkroom. Playroom off of media room on 2nd floor, along with a home gym and walk-in attic access w/ foam insulation for energy efficiency. Oversized 3 car garage with built-in storage and elevated dog wash stall. Extensive landscaping, enclosed 7' hot tub, and well for irrigation. Immaculately maintained! 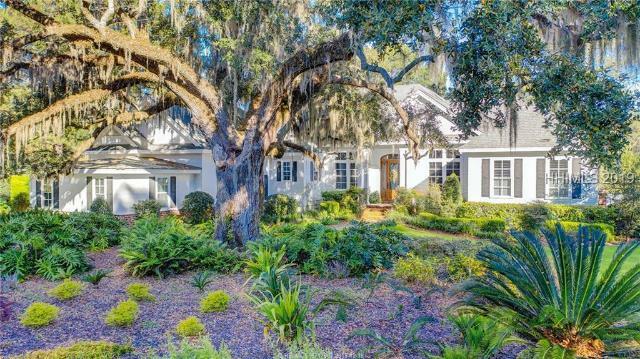 Breathtaking marsh to Colleton River views. 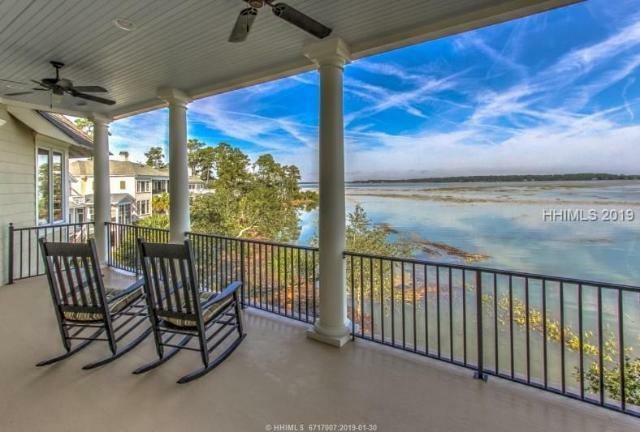 Lowcountry living at its finest. DonGÇÖt miss this opportunity to own a custom-built home w/unobstructed river views. This 4BD 4.5BA residence architecturally designed to offer 180-degree views of the river in a private location includes Great Room w/ 12' ceilings, gas FP, Kitchen w/custom cabinetry, granite, SubZero fridge, gas cooktop, double Master Suites w/ jetted tub & soaking tub, spacious Guest Bedrooms w/adjoining bath, 2nd floor Living Area, stacked rear porches, elevator, extensive millwork, white oak hardwood flooring, 3+car garage, green features & recently updated w/ fresh exterior paint. 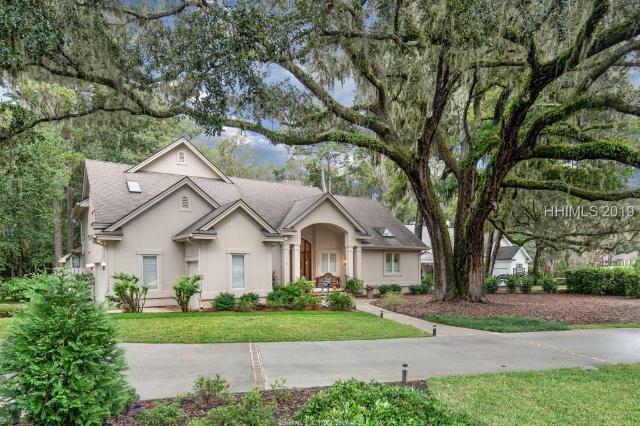 Landmark property, first time offering in exclusive Belfair Plantation! 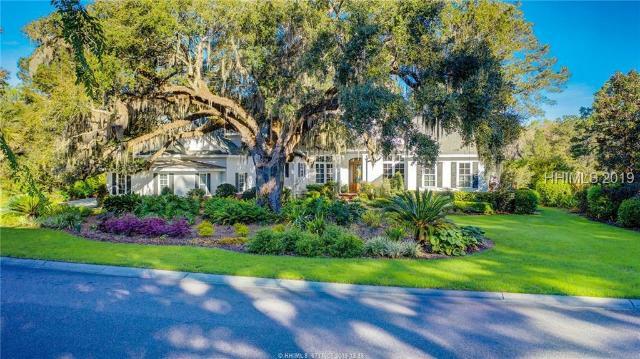 Wide open fairway to marsh and Colleton River views. Custom German kitchen by Bulthaup with Gaggenau appliances and Sub Zero Refrigeration, Ceasarstone, stainless steel and oak counters. Walnut floors, beautiful bathrooms, solid Walnut doors, gorgeous trim and mouldings, Marvin doors and windows. Built-in Murphy Beds on the 2nd floor offers additional sleeping areas for guests. 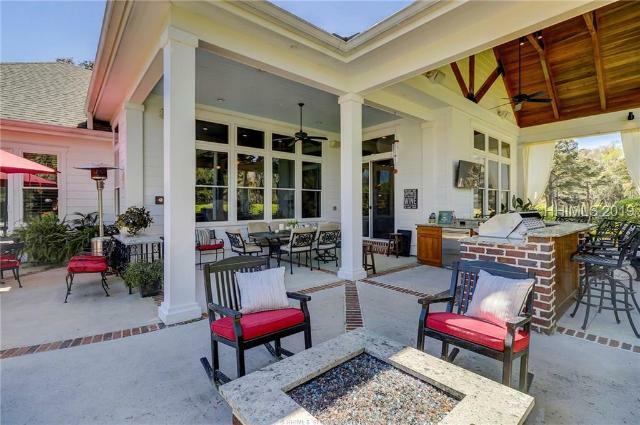 Wrap around porch with Epay decking overlooking the 18th hole! Walking distance to the club house. SPECTACULAR LAKE VIEWS from the covered porch & pool to nearly every room of this beautiful 4 BR, 4 -+ BA light-filled home. Features inc. gorgeous travertine tile throughout main living area, living room w/ fireplace, ChefGÇÖs kitchen w/ SS appliances, granite countertops, walk-in pantry & dining area that flows into the family room, dining room w/ built-in buffet, office/bedroom with custom built-ins. First floor master suite features walk-in shower & walk-in closet. Handsome den w/ wet bar, bedroom/bath & exercise/storage room on second level. Tremendous storage throughout. A MUST SEE!